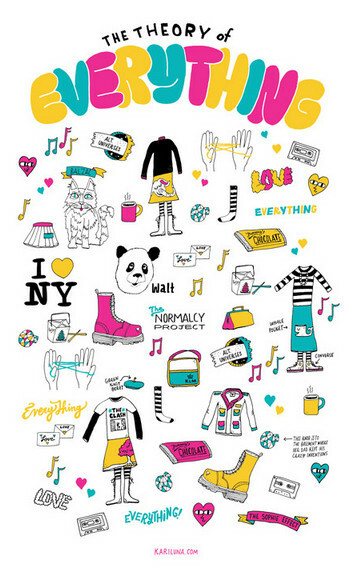 What does all of this have to do with marketing? She teaches classes. Not only are her classes an awesome way to share her knowledge and 'pay it forward,' it is also a great way to network and sell books. The class was based on a text she co-wrote. Most of us purchased or owned copies of the complete text prior to attending the class. POP-up banners were in the room silently advertising her books. In the picture below you can clearly see one of the two banners she had in the room in the background. Notice that even in this picture her name is large enough to be read, as well as the header "Writing Active" for her series of books on settings. Promotional pieces, bookmarks, and free takeaways were available. Even if you didn't buy a book, promo pieces and bookmarks were also on the book table free for anyone to take. Maybe someone didn't have the money to make a buy on that day; now they have a professionally printed and produced promo piece so that they can make a buy later or pass it on to a friend. Mary Buckham was wonderfully personal and fun! Heck - she made such a strong and positive impression on me, I am now writing a blog post about her! Talk about buzz marketing...now our audience knows about her class and her BOOKS. You never know who you are going to meet in a writing craft class or at a conference. Certainly, you'll meet other authors...but remember, authors are readers, bloggers, podcasters, etc., too. Use these personal interactions to make a lasting positive impression and allow your persona to shine. C. Morgan Kennedy & Mary Buckham - Notice the POP-up banner on the left. It is often the subtle forms of marketing that are the most powerful and effective. What skills do you have that can be shared? How can you leverage these sharing opportunities to market your books? In our recent posts, we focused on the marketing efforts of Renee Bernard. Ms. Bernard is an author who started her career writing historical romances. Recently, she added contemporary romance to her repertoire. Yes, there was some overlap between her historical and contemporary readers, however to promote her new genre and find new readers she embarked on a marketing campaign specifically designed for her new books. At the back of our Author Marketing 101 book, you will find two author case studies: one focused on a book specific campaign and one focused on an author PERSONA. Let's take a closer look at some of our previous posts that discussed book specific marketing. The Theory of Everything is a contemporary, young adult (YA) novel that features a fourteen year old heroine who loves eighties music. Led by a panda shaman, she finds a connection to her missing father via the mixtapes he made for her before he disappeared. Pulling from her experiences in advertising and playing organ in a variety of bands, Ms. Luna used a 1980's aesthetic as the theme for her marketing campaign and promotional materials. What themes and aesthetics can be pulled from your latest work and used in your promotions? Can portions of your world building be used as extra content on your website? Band pins, t-shirts, and mixtapes are mentioned throughout The Theory of Everything. Are there any items or artifacts in your story that can be turned into promotional tools? What are some of the things you like to do that are fun for you? Is there a way to leverage these activities to PUSH your books or PERSONA? 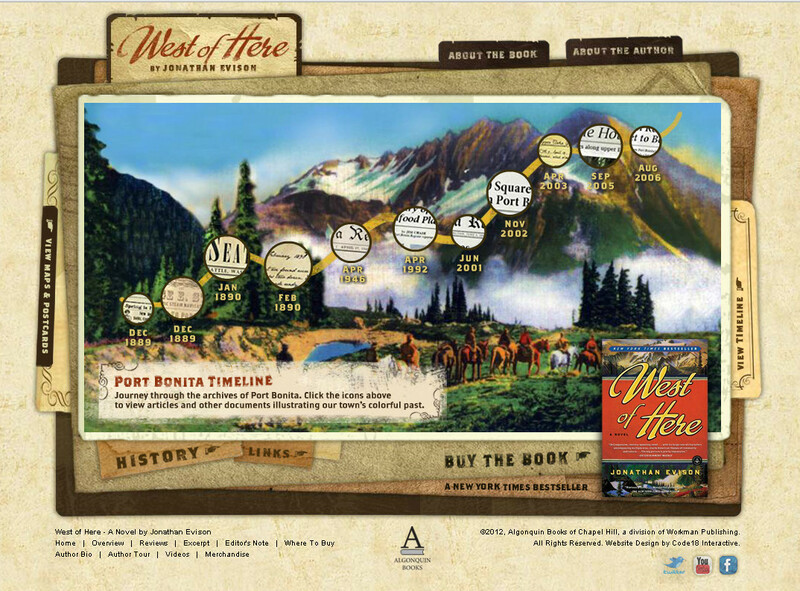 For his book West of Here, he put his world building to work and created a website for the fictional town of Port Bonita, Washington. The Links tab takes you to both real and fictional websites for more content. 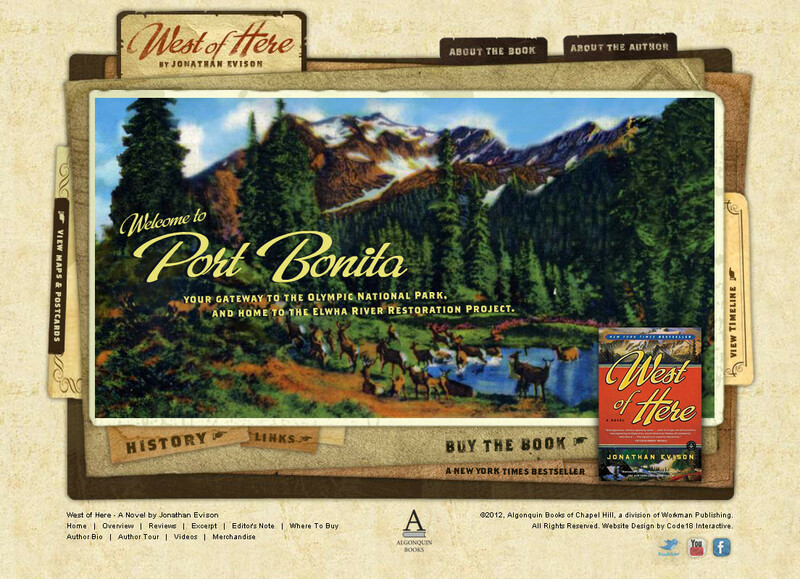 Mr. Evison stated that he had a reader claim that Port Bonita really exists because they were able to find a Chamber of Commerce website. He had to inform his reader that he created that page, as well as the page for the restaurant featured in his book. What extra content (interesting tidbits from your research, drawings, pictures, notes, etc.) do you have sitting in a file that could be reused to enrich your website? As we all know, our readers enjoy our stories and the experience of being submerged into the worlds we create on the page. What are some ways that you can extend that experience beyond the pages of your books?